My last two pigments in the series, for the time being at least, are two of the most ubiquitous, and both white: Lead White, which until the twentieth century was almost the only white used in oil painting, and Chalk White, used primarily to produce a brilliant white ground on which to paint, but sometimes used as a pigment in its own right. Lead White has its origins in classical times, and around 300 BCE in China. Although there is a natural mineral source, it is rare and very seldom used. Almost all Lead White used in painting has been man-made, making it one of the older synthetic pigments. As lead carbonate, the pigment was long made by steeping thin ‘buckles’ of lead metal in vinegar (acetic acid). This was carried out in large earthenware pots, which were placed inside sheds containing rotting manure (or other waste, such as tan bark), which generated warmth and carbon dioxide gas. Over a period of 1-3 months, this eventually grew white flakes on the surface of the lead, consisting of Lead White pigment. This process became known as the Dutch or stack method for making Flake White, a synonym for Lead White, although its origins are obscure and almost certainly not Dutch in the slightest. A reliable white pigment is a fundamental requirement in oil painting for increasing the lightness of colours. Until the nineteenth century, with the introduction of Chinese White, Lead White was used in essentially every oil painting. It has proved largely stable, with a tendency to darken over time being blocked by the drying oil binder. Watercolours do not give the same protection to their pigments, and watercolour paintings which have relied on Lead White have sometimes tended to blacken with the formation of lead sulphide, from atmospheric pollution. 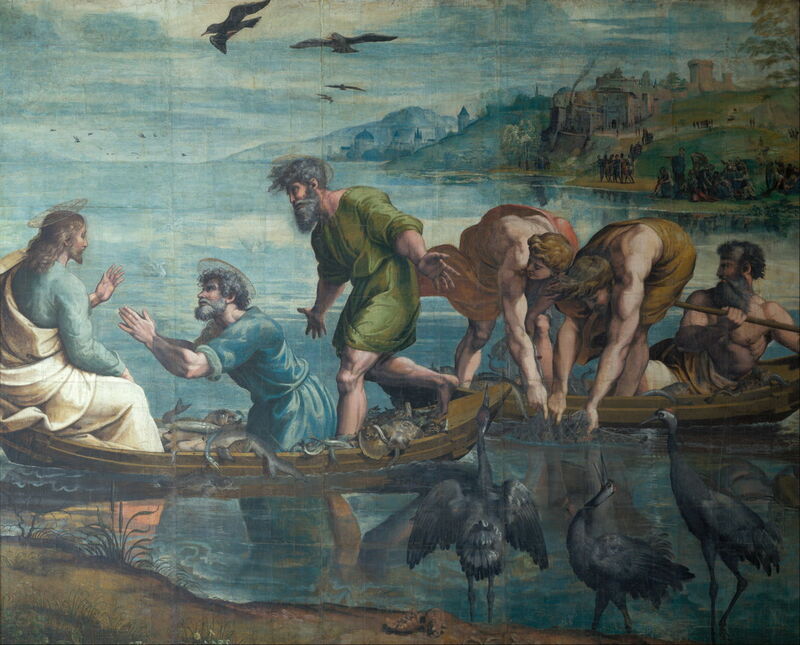 Remarkable exceptions to this are Raphael’s cartoons painted in around 1515-16, including The Miraculous Draft of Fishes, in which the Lead White has remained pristine. In addition to its use as a pigment in paint, Lead White has coloured the ground on which oil paint is applied. In many cases, Lead White is the only pigment applied in thin layers of oil paint to form ‘oil grounds’, for example on carefully prepared and sealed panels. One of the characteristic techniques of the Pre-Raphaelites was the use of ‘wet white grounds’, in which oil paints were applied to Lead White paint which had not dried. 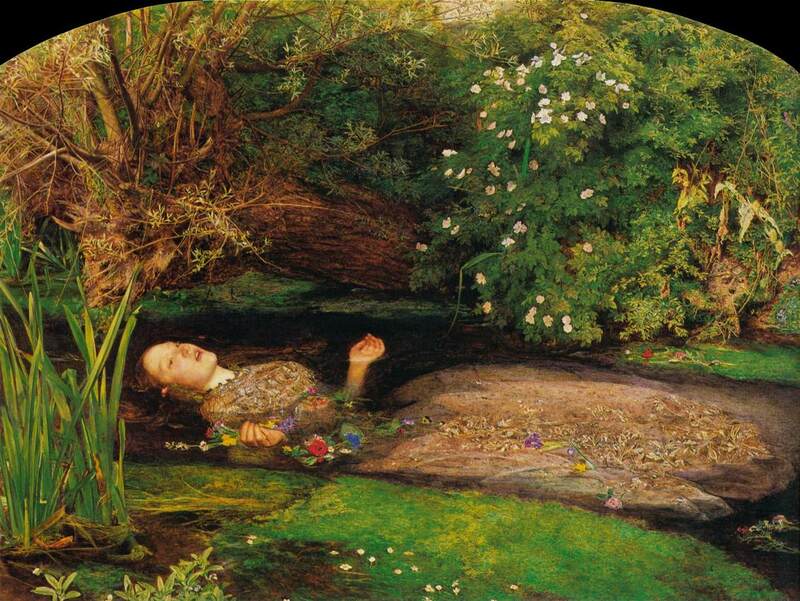 This was used by Millais in his painting of Ophelia (1851-2). To ensure that the white ground didn’t dry before coloured glazes were applied into it, it is believed that the Pre-Raphaelites painted small sections at a time. Some who tried this technique abandoned it because it proved too difficult, and all acknowledged that it made later corrections almost impossible. The Pre-Raphaelites claimed that this technique was responsible for the bright and lustrous colours of their work, although others achieved similar effects without ever using wet white grounds. Lead White was also mixed with different proportions of Chalk White (plain calcium carbonate) to form the grounds of many paintings. Peter Paul Rubens (1577–1640), Descent from the Cross (centre panel of triptych) (1612-14), oil on panel, 421 x 311 cm, Onze-Lieve-Vrouwekathedraal, Antwerp, Belgium. Image by Alvesgaspar, via Wikimedia Commons. 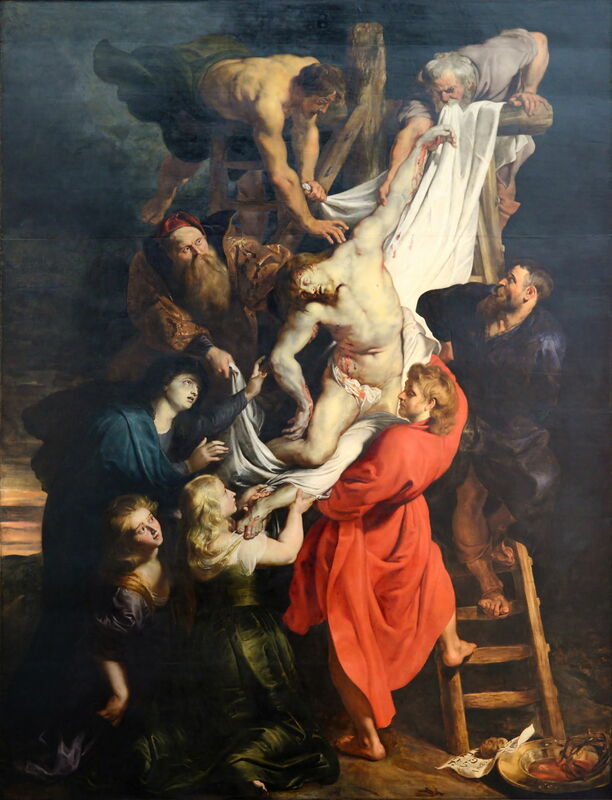 Rubens commonly mixed Lead and Chalk Whites to form his grounds, as found in his magnificent triptych in Antwerp’s Onze-Lieve-Vrouwekathedraal, of which this Descent from the Cross (1612-14) is the centre panel. However, the white used in its paint layer is Lead White. 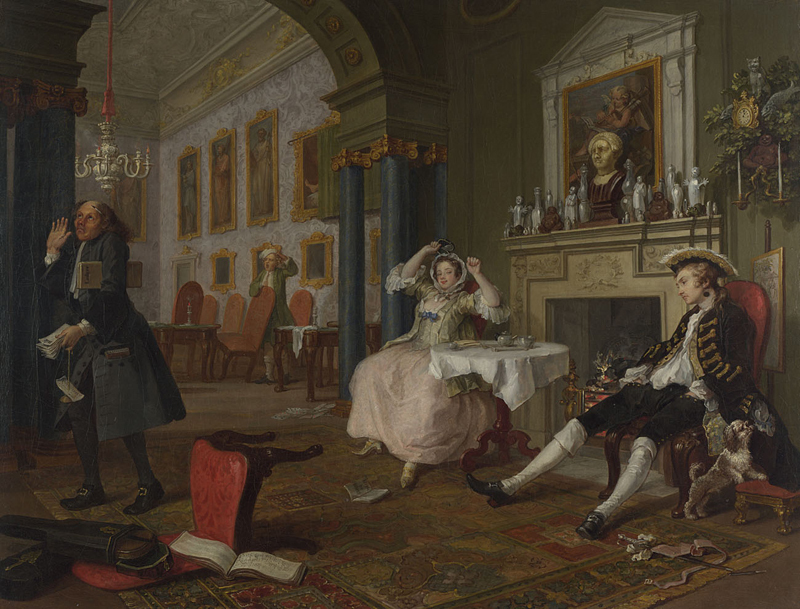 Hogarth was another who used a mixture of Lead and Chalk Whites in his grounds. Calcium carbonate occurs widely in nature, in a range of minerals with widely differing properties. Sources used for its use in both grounds and pigment include ground calcite, marble and limestone, plain chalk rock, and ground sea shells or coral. These have been used in paints since classical times, but Chalk White is very seldom used alone in oil paint because in drying oils it is a weak white with poor hiding power. 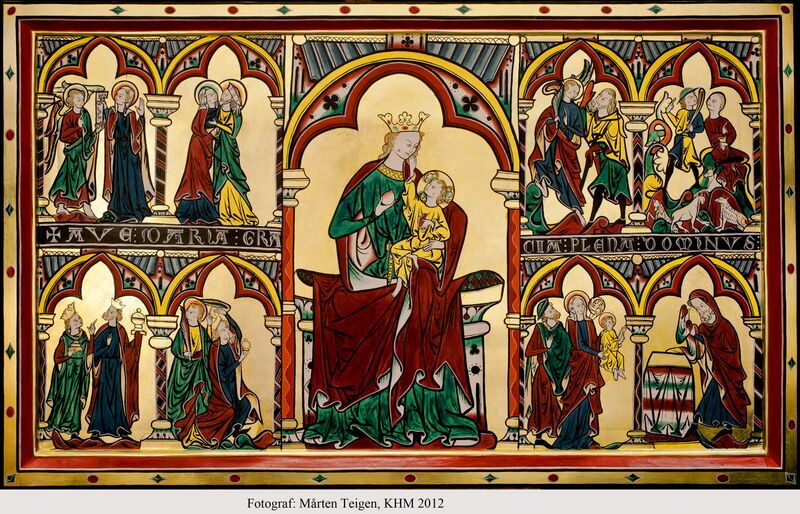 Chalk White grounds were used in some of the earliest European oil paintings, such as the Altar Frontal in Tingelstad, Norway, which dates from about 1275-1300. 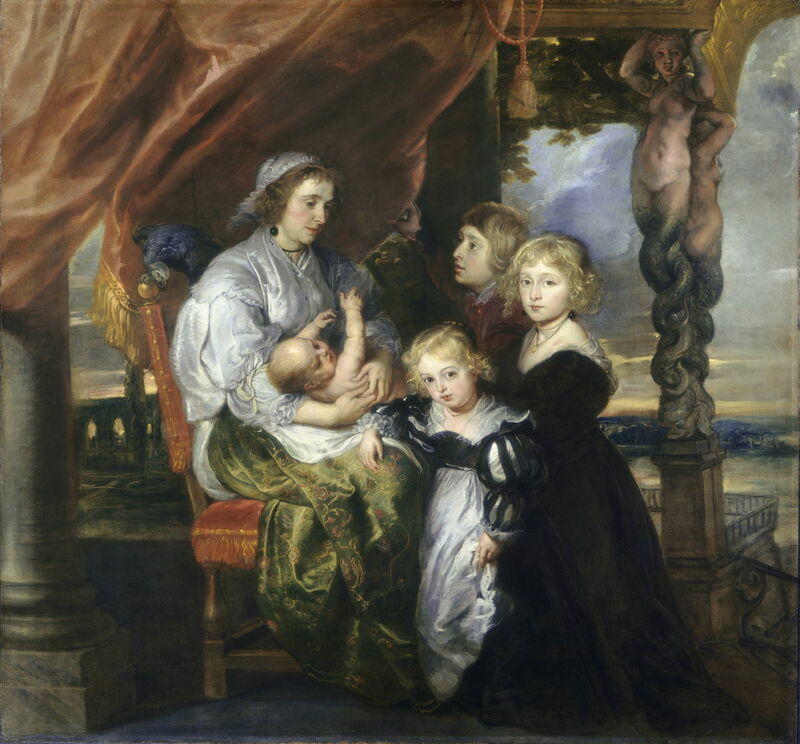 A few oil paintings have also been found to use Chalk White as a pigment in their paint layer: Rubens’ family portrait of the Gerbiers from 1629-30 is one example where Chalk White has been found both in its grounds and paint. Chalk White is non-toxic and continues to be used in grounds, although not in oil paints or watercolours. However, Lead White was known even to the Romans as being highly toxic at all stages of its production and use. Lead salts accumulate in body tissues, and are particularly toxic to the nervous system. Slaves sent to work in lead mines were the first known to have died long before their time because of their lead exposure. Concerns over the toxicity of Lead White grew steadily with the advancement of medicine, and in the nineteenth century Chinese White started to replace it. Many painters in oil steadfastly refused to use alternatives, even when Titanium White was introduced in the twentieth century. The manufacture of Lead White has become prohibitively expensive and complex, and obtaining supplies for making paint is extremely difficult. Its use has ceased in many countries, and in others it is in steep decline. Despite the protestations of some artists, oil painting hasn’t suffered as a result. Posted in General, Life, Painting, Technology and tagged artists paints, history of painting, Hogarth, Millais, painting, pigments, Raphael, Rubens. Bookmark the permalink. There is nothing like lead white (painted over red, heavenly). You can’t mix lead white into polymer….it turns greenish in acrylic medium.